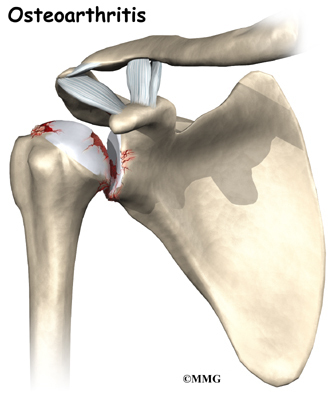 The shoulder needs a functioning rotator cuff to remain stable as well as to create a joint capsule to hold the joint fluid that lubricates the joint. 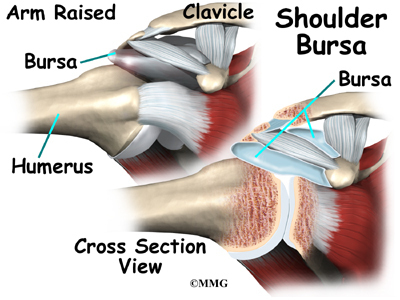 Over time, a shoulder without an intact rotator cuff becomes arthritic - the shoulder joint wears out due to the abnormal motion, the instability, and lack of lubrication from the joint fluid. 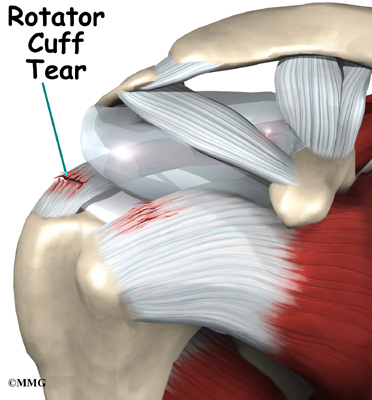 This type of wear and tear arthritis in the shoulder is called (rotator) cuff tear arthropathy. 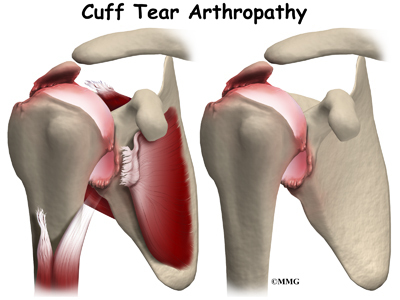 Like any arthritic condition, cuff tear arthropathy of the shoulder may respond to anti-inflammatory medications such as aspirin or ibuprofen. Acetaminophen (TylenolÃÂ®) may also be prescribed to ease the pain. Some of the newer medications such as glucosamine and chondroitin sulfate are more commonly prescribed today. They seem to be effective in helping reduce the pain of arthritis in all joints. There are also new injectable medications that lubricate the arthritic joint. These medications have been studied mainly in the knee. It is unclear if they will help the arthritic shoulder. 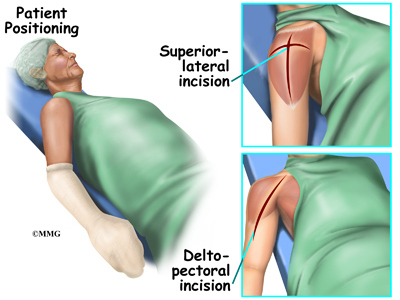 These lubrication injections are presently being studied in the shoulder. Although they are safe in the knee, they are not presently approved for use in the shoulder. A second purpose of the pre-operative visit is to prepare you for surgery. You'll begin learning some of the exercises you will use during your recovery. Your therapist can help you anticipate any special needs or problems you might have at home, once you're released from the hospital. 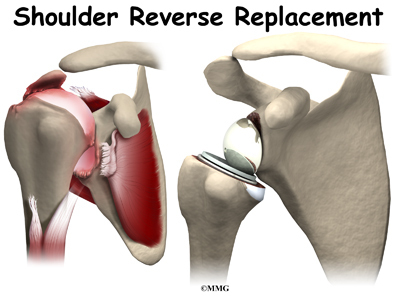 Before we describe the procedure, let's look first at the reverse artificial shoulder itself. 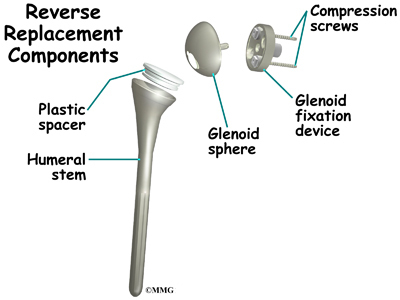 The reverse shoulder replacement surgery is performed almost identically to the normal shoulder replacement - except different artificial parts are inserted.